In April 1963, when JFK responded to CIA duplicity by turning towards his enemy Fidel Castro, Lee Harvey Oswald was going through a transition of his own – a move from Dallas to New Orleans. Oswald, however, chose to continue being directed by shadowy others. Oswald quickly found work in New Orleans at the Reily Coffee Company, owned by William B. Reily, a wealthy supporter of the CIA-sponsored Cuban Revolutionary Council. In a 1968 interview with the New Orleans District Attorney’s office, CIA contract employee Gerry Patrick Hemming “confirmed that William Reily had worked for the CIA for years”. As Oswald went to work in Reily’s company, he was in the company of the Company. 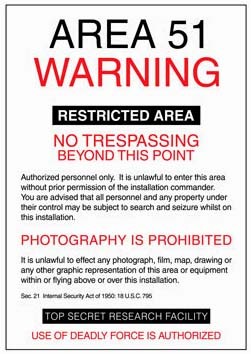 The Reily Company was located near the offices of the CIA, FBI, Secret Service and Office of Naval Intelligence. Directly across the street from the Naval Intelligence and Secret Service offices was another office that Oswald worked in – the detective agency of former FBI agent Guy Bannister. Bannister’s office helped supply munitions for CIA operations ranging from the Bay of Pigs to Cuban exile attacks meant to ensnare Kennedy. Guns and ammunition littered the office, and CIA paramilitary recruits checked in with Bannister on their way to and from anti-Castro training camps. Bannister’s office also became the base for a political theater that Oswald acted out on the streets of New Orleans during the summer of 1963, whose final meaning would not become apparent until November 22. Oswald had written in May to the New York headquarters of the Fair Play for Cuba Committee (FPCC), saying he planned to establish his own New Orleans branch of the pro-Castro organization. He was warned explicitly in a letter from FPCC national director V.T. Lee against provoking “unnecessary incidents which frighten away prospective supporters”. But Oswald tempted fate by passing out pro-Castro leaflets to sailors disembarking from the aircraft carrier USS Wasp on the dock at the port of New Orleans. Before he could provoke an incident, however, a patrolman ordered him to leave. In August, Oswald tried harder and succeeded. On August 5, Oswald visited Carlos Bringuier, a leader of the anti-Castro exile community and New Orleans delegate to the Directorio Revolucionario Estudiantil (DRE) a group that a 1967 CIA memorandum described as “conceived, created and funded by the CIA”. A House Select Committee on Assassinations report said “the DRE was, of all the anti-Castro groups, one of the most bitter toward President Kennedy for his [Cuban Missile Crisis] deal with the Russians”. Bringuier told the Warren Commission that Oswald approached him on August 5, announcing he was against Communism, had been in the Marine Corps, and was willing to train Cubans to fight Castro. Briguier testified that he turned Oswald down, thinking he might be an infiltrator. Three days later, Bringuier was told of a demonstrator on Canal Street waving a sign that read “Viva Fidel”. He and two Cuban friends rushed down there and found that the man was Oswald. People started to gather around as the three Cubans confronted Oswald and tore up his leaflets, and the crowd started shouting at Oswald “Traitor! Communist! Go to Cuba! Kill him!” and other less savory phrases. Bringuier took off his glasses and was about to hit Oswald when Oswald dropped his arms in an X in front of himself and invited Briguier to hit him. Not wanting to make Oswald into a martyr, Bringuier backed off. Before the incident could escalate any further, two police cars pulled up and arrested all four men. Oswald spent the night in jail, but curiously asked to speak with an FBI agent, and then met with New Orleans Special Agent John Quigley for an hour and a half. Though Quigley tried to downplay the meeting to the Warren Commission, the Commission members already knew that Oswald had been on the FBI payroll since September 1962, as noted by the Commission’s general counsel J. Lee Ranking in a closed-door meeting on January 27, 1964, the transcript of which was classified “top secret” and kept hidden for a decade. At that meeting, in which Texas Attorney General Waggoner Carr revealed Oswald’s role with the FBI, Rankin called the information “a dirty rumor that is very bad for the Commission” and said “it must be wiped out insofar as its is possible to do so by this Commission”. What Oswald spoke about with FBI agent Quigley may never be known, but there’s some possibility that he may have been trying to reveal the JFK assassination plot he was becoming ever more deeply drawn into by his CIA handlers. If so, this may have sealed his fate with both US intelligence agencies, who later joined forces in covering up any evidence of a government conspiracy. While the CIA was trying to create the image of the rabidly pro-communist turncoat Oswald, there is evidence that the soon-to-be patsy admired President Kennedy and tried to warn about a possible coup. In July 1963, Oswald checked out of the New Orleans Public Library, William Manchester’s cameo of Kennedy, Portrait of a President, and followed it up two weeks later by reading JFK’s own Profiles in Courage. Oswald told his wife Marina that he “liked and approved of the President and believed that for the United States in 1963, John F. Kennedy was the best President the country could hope for”. Oswald also listened intently to Kennedy’s speeches that summer on the radio, especially his July 26 address to the nation on the nuclear test-ban agreement with the Soviet Union. Oswald explained to his wife that Kennedy “would like to pursue a better, more gently policy toward Cuba but was not free to do as he wished”. Oswald knew all too well how the CIA was mustering anti-Castro sentiment. The night after Kennedy’s warning about an “inconceivable war” if tensions were allowed to continue between the superpowers, Oswald gave a talk of his own, on the invitation of his cousin, at the Jesuit House of Studies in Mobile, Alabama where his cousin was a seminarian. The topic was supposed to be “contemporary Russia and the practice of Communism there”, but Oswald’s notes indicate that he used the event to warn of a possible military coup against Kennedy. Six days after his arrest, Oswald was back on the street passing out more pro-Castro leaflets, this time getting TV news attention and an interview with a local radio commentator, who then got Oswald to debate Bringuier and his ally Ed Butler, a CIA asset who was head of the stridently anti-communist Information Council of the Americas (INCA). The August 21 radio debate highlighted Oswald’s Soviet defection, thereby simultaneously discrediting the Fair Play for Cuba Committee and painting Oswald as the pro-Cuban sympathizer in preparation for his part in incriminating Castro and its Soviet patron in the JFK assassination. In the last week of September 1963, Silvia Odio, a 26-year-old Cuban immigrant living in Dallas, was visited at her apartment in the early evening by three strange men, and they talked for about 20 minutes. Two of the men looked Latin and spoke rapidly in Spanish, acting as if they were Cuban exiles. One gave his “war name” as Leopoldo and the other as Angelo or Angel. The third man, their gringo friend, said little, but mostly smiled with a strange grin. (US Army counterintelligence officer Richard Case Nagel later reported that Oswald, Angel and Leopoldo, two Cubans involved with the Alpha 66 anti-Castro group, were involved in a conspiracy to kill JFK). Leopoldo and Angel told Silvia that they were members of JURE (Junta Revolucionaria Cubana), the anti-Castro group that her parents were involved in, said they were friends of her father, who was then being held in a Cuban prison, and that they knew the group’s leader, Manolo Ray, with whom her father had worked. Sylvia’s father, Amador Odio, had been a Castro ally against Batista, but turned against the Cuban leader when he felt that Castro had betrayed the revolution. Amador was, however, not trusted by the CIA, since he was favored by the John and Robert Kennedy. Sylvia was suspicious, but Leopoldo said “We wanted you to meet this American. His name is Leon Oswald”. He repeated Oswald’s name and said he was “very much interested in the Cuban cause”. Leopoldo said they had just come from New Orleans and were about to go on another trip (this was just before Oswald’s alleged trip to Mexico City to visit the Soviet and Cuban embassies). The men left, but a couple of days later, Sylvia got a phone call from Leopoldo who asked “What do you think of the American? He’s great but kinda nuts. He told us we don’t have any guts, you Cubans, because President Kennedy should have been assassinated right after the Bay of Pigs, and some Cubans should have done that. And he said ‘it is so easy to do it’.” Leopoldo also mentioned that Oswald had been a Marine and was an expert shot, but “kinda loco”. Sylvia was disturbed by the visit and call, and wrote to her father in prison, who wrote back that he knew none of them, and she should not get involved with the men. When, in the early afternoon of November 22, Sylvia heard of President Kennedy’s assassination on the radio before any mention of Oswald had been made, she felt a deep sense of fear and began saying to herself “Leon did it!” Because of her fears of the men, Sylvia and her younger sister who had first come to the door to greet the strangers, vowed not to tell the authorities about the meeting. A friend who had heard their story told the FBI, and Sylvia was interviewed by them in December 1963. She was not called to testify to the Warren Commission, however, until the end of July 1964. Her evidence of a conspiracy setting up Oswald was not something the Commission wanted to hear, and the Commission’s general counsel, J. Lee Ranking, said in confidence “At this stage, we are supposed to be closing doors, not opening them.” The Commission dismissed Odio’s testimony by stating that Oswald was already in Mexico City at the time of the alleged meeting at her apartment in Dallas. But the event was clearly meant both to connect Oswald to an assassination plot and to discredit the Cuban exile community, particularly those who were allied with the Kennedy brothers. In yet another staged act of theater to link Oswald with Cuba, on November 20, 1963, a car with three people in it drove into Red Bird Air Field on the outskirts of Dallas, and parked in front of the office of American Aviation Company, a private airline. A heavy-set young man and a young woman got out of the car and inquired of the owner, Wayne January, about renting a Cessna 310 on the afternoon of November 22 to fly to the Yucatan Peninsula of Mexico near Cuba. They also asked how far the plane could fly without refueling, which made January suspicious that they intended to hi-jack the plane to Cuba, and he refused the rental. As the couple left his office, expressing irritation at his rejection, January was curious about the third person who remained in the car, and took a good look at him. 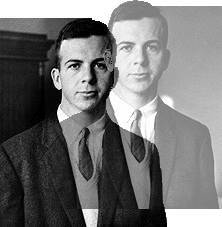 The following weekend, he recognized the man, on television and in the newspapers, as Lee Harvey Oswald (or someone who bore an exact resemblance). The ploy seemed to be to identify Oswald with a plan to escape to Cuba following the assassination of JFK. On the morning of that same day, at 10:30 AM, refrigeration mechanic Ralph Leon Yates was driving in the Oak Cliffs area of Dallas and stopped to pick up a hitchhiker near the Beckley Avenue entrance to the Thornton Expressway (Oswald’s rooming house was on Beckley). The man was carrying what Yakes described later to the FBI as “a package wrapped in brown wrapping paper about 4 foot to 4½ feet long”. Yates told the man to put the package in the back of the truck but he insisted on keeping it with him in the cab, saying it contained curtain rods. Yates mentioned the upcoming presidential visit and the man, who he later realized looked exactly like Lee Harvey Oswald, asked “if he thought a person could assassinate the president”. He then asked if Yates thought it could be done from the top of a building or out a window high up with a rifle. The man then asked about the President’s route and whether it might be changed. Yates dropped the Oswald look-alike off at Houston and Elm, at the stoplight by the Texas School Book Depository. When Yates got to work, he told his coworker about the strange incident. Yates gave his story to the FBI on November 26, and again on December 10, January 3 and 4, concluding with a polygraph test. The FBI seemed to want Yates to repudiate his story, deciding that the lie detector test was “inconclusive” because Yates passed it so well. The problem was that there was another, more useful curtain-rod-in-brown paper story told by Oswald’s co-worker at the TSBD, Buell Wesley Frazier, who gave Oswald a ride from Ruth Paine’s to work the day of the assassination, with a brown paper package of curtain rods. This story worked better for the official Warren Report, as it was alleged that Oswald kept his rifle at Ruth Paine’s. To eliminate the competing story, the FBI got Yates committed to Woodlawn Hospital and later to a psychiatric facility at Terrell State Hospital, where he remained for eight years, and then to two more hospitals for another three years. He was “treated” with heavy sedation and electric shock, though he never abandoned his certainty and his guilt about giving Oswald a ride with his rifle, and Yates died in the hospital of congestive heart failure at age 39. On Friday, November 1, 1963, at the same time that the Chicago plot to assassinate JFK was unraveling, a man bought ammunition for his rifle in a conspicuous way at Morgan’s Gun Shop in Forth Worth, Texas. A witness, Dewey Bradford, later told the FBI that the man was “rude and impertinent”. The man made an enduring impression on the gun shop’s other customers, as he seems to have intended. He made a point of telling Bradford that he had bee in the Marine Corps. When Bradley and his wife and brother-in-law, who were all in the gun shop together, later saw Oswald’s picture in Life Magazine, all three of them agreed that the “rude and impertinent” ex-Marine was Lee Harvey Oswald. The Warren Report ignored this incident, to avoid having to explain why Oswald, planning to assassinate a US president, would bring so much attention to himself before hand. In mid-afternoon the next day, a young man walked into the Downtown Lincoln-Mercury showroom near Dealey Plaza in Dallas. He told car salesman Albert Guy Bogard he was interested in buying a red Mercury Comet. He said his name was Lee Oswald, that he didn’t have any money then for a down payment, but – as the salesman recounted later for the FBI – “he said he had some money coming in within two or three weeks and would pay cash for the car”. “Oswald” accepted the salesman’s invitation to test drive a Comet and then gave the salesman a memorable ride at speeds up to 85 miles per hour on the Stemmons Freeway near the planned JFK motorcade route. Back at the showroom, when another salesman tried to sell him the Comet on the spot with a credit check, “Oswald” got indignant and said “maybe I’m going to have to go back to Russia to buy a car”. The Warren Report dismissed this provocative behavior, as the description of the man didn’t match that of Oswald, Oswald couldn’t drive, and Oswald was apparently elsewhere that afternoon. But the Commission failed to explore whether this was a deliberate provocation by an imposter. From September through November of 1963, there were repeated sightings of a man who looked like Oswald engaging in target practice in Dallas with his rifle. 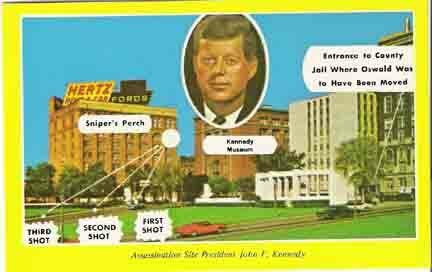 Warren Commission witness Malcolm H. Price Jr. remembered a man who resembled Oswald asking Price’s help in adjusting the scope on his rifle at the Sports Drome Rifle Range in Dallas. Price told the Commission that, on a dark and dusky evening in late September, he turned his car headlights onto a target at the rifle range so he could adjust the man’s scope. After Price zeroed the scope, he watched “Oswald” fire three shots into the bull’s eye on the illuminated target. Price said he saw the same man practicing with his rifle in mid-October at the Sports Drome, and again in November. Witness Garland G. Slack remembered a man who looked like Oswald firing his rifle at the Sports Drome on November 10 and 17, recalling vividly how the man had provoked him by repeatedly firing at Slack’s target. When Slack objected, the man gave him a glassy stare. The CIA had placed Oswald in Mexico City, visiting the Russian and Cuban embassies, at the end of September, when Price placed him at the rifle range, in another choreographed scenario meant to paint a picture of the pro-Communist disgruntled ex-Marine who might have been doing the bidding of the Soviet Union or Cuba. 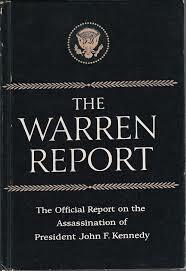 So the Warren Commission had to ignore the rifle practice reports in order to maintain the CIA ploy, while at the same time trying to distance Oswald from foreign intrigue to create the “lone nut” theory and avoid public pressure for retaliation against our Communist adversaries. The Warren Report, insisting that “Oswald is known to have been in Mexico City” on that date, stated “there is reason to believe that Slack was also [in addition to Price] describing a man other than Oswald”. The Warren Commission had painted itself into a corner by accepting the CIA cover story. To avoid having too many Oswalds, it reported that when Slack claimed to have seen Oswald at the Sports Drome, “there is persuasive evidence that on November 10, Oswald was at the Paine’s home in Irving and did not leave to go to the rifle range” (Ruth Paine also was a star witness to the Warren Commission and attempted to put a different spin on an alleged Oswald letter to the Soviet embassy, claiming she had the original and more benign first draft, which the Commission later returned to her so that it’s unavailable to the public record). Though both the rifle-range Oswald and the Mexico City Oswald offered evidence supporting the Warren Commission’s conclusions about the “lone nut” pro-communist assassin, their Report couldn’t accommodate so many Oswalds. So, the Commission ignored the fact that multiple witnesses had encountered an Oswald look-alike, even using Oswald’s name and background, engaging in highly provocative actions meant to bring attention to himself as late as five days before the assassination. And the Commission did not consider who might be behind this obvious charade. The choreographers of these charades, the CIA, was not only setting up Lee Harvey Oswald to take the fall for their own assassination plot, but simultaneously setting up their arch-enemy, Nikita Khrushchev and his ally Fidel Castro as fall guys. To the Manichean mindset of the Cold Warriors in the CIA, the absolute evil of Communism could be fought by any means, including the very kinds of evil that they projected onto their enemies. In yet another provocative and almost certainly staged event, sometime between November 6 and 8, a man got off the elevator in the Dallas FBI office, approached receptionist Nannie Lee Fenner, and asked for S.A. Hosty. S.A. stands for Special Agent and would not be used except by someone familiar with FBI jargon. Fenner said the man “had a wild look in his eye and was awful fidgety”. When Fenner told him that Hosty was not in his office, the man threw a small envelope with a note projecting noticeably on her desk, saying “Well, get this to him.” He then turned and left. Unable to avoid noticing the exposed handwritten lines, Fenner saw that it said “I will either blow up the Dallas Police Department or the FBI office”. Viewing it as a threat, she took out the note and read the rest, which was a complaint about FBI harassment of his wife, and it was signed “Lee Harvey Oswald”. S.A. James P. Hosty had been assigned to investigate Oswald as a possible Soviet agent, and he had questioned both his wife and her host, Ruth Paine. Since Oswald was a known FBI informant, this note seemed intended to distance him from the agency and paint him as not only pro-communist but anti-FBI. However, after Oswald’s murder, when the authorities were trying to cover up the too many provocative appearances of “Oswald”, the chief Dallas FBI agent summoned Hosty into his office, handed him the Oswald note and Hosty’s memo about it, and ordered him to destroy them. When Hosty appeared before the Warren Commission, he failed to mention the note, though he later admitted it to a congressional committee in 1975. A New York Times investigative story that year asserted that the order to destroy it had come directly from J. Edgar Hoover. While the many “Oswald” provocations may have served the CIA’s purpose in setting him up as a patsy, the excesses of the ploy risked exposing it as a plot, and Hoover’s FBI was determined to prevent the disclosure of anything that looked like a government conspiracy. On November 18, 1963, the Soviet Embassy in Washington received a crudely typed and badly spelled letter dated nine days earlier and signed by “Lee H. Oswald” of Dallas. The timing of the letter’s arrival was no accident. The text of the letter seemed to implicate the Soviet Union in what was about to unfold in Dallas four days later. It also, rather strangely, devoted two paragraphs to denigrating the FBI, but this was apparently meant to corroborate the “Oswald” note to Special Agent Hosty. “Comrade Kostin” was, as the Warren Report noted, “undoubtedly a reference to Kostikov” – Valery Vladimirovich Kosikov, a KGB officer working under the cover of being a consul at the Soviet Embassy in Mexico City. According to Clarence M. Kelley, FBI Director from 1973 to 1978, Valery Kostikov was “the officer-in-charge for Western Hemisphere terrorist activities – including and especially assassinations”. He was, according to Kelley, “the most dangerous KGB terrorist assigned to this hemisphere”. Victor Kostikov had already been set up as Oswald’s handler in fraudulent “Oswald” phone calls and transcripts to the Mexico City embassy, by a man speaking in “broken Russian” (Oswald was fluent in Russian). With the revelation of this letter after the CIA successfully terminated the President who was making peace with the enemies of the Free World, a preemptive attack on those same enemies, who were JFK’s partners in peace, would be made. Thus the letter extended complicity to Cuba. However, given his failure to obtain a Cuban visa, “Oswald” suggested he was forced to take up “our business” directly with assassinations manager Kostikov in Mexico City. “Of corse (sic) the Soviet embassy was not at fault, they were, as I say unprepared, the Cuban consulate was guilty of a gross breach of regulations, I am glad he has since been replced (sic)”. The Cuban Mexico City consul, Eusebio Azcue, had vigorously ejected provocateur “Oswald” from the Cuban Embassy on September 27. Azcue was, in fact, replaced on November 18, the same day the “Oswald” letter arrived at the Soviet Embassy in Washington, and nine days after it was mailed, revealing an accurate foreknowledge of the Cuban government’s intentions. As was true of all mail sent to the Soviet Embassy, the “Oswald” letter was intercepted, opened and copied by the FBI before its eventual delivery. At 9:20 AM on November 23, the morning after JFK’s assassination and the ascension to the presidency of LBJ, Johnson was briefed by CIA director John McCone about “information on foreign connections to the alleged assassin, Lee Harvey Oswald” which suggested that JFK was murdered by an international communist conspiracy (according to Micheal Beschloss, editor of the Johnson tapes, later released). A war of vengeance against Cuba and the Soviet Union based on false Mexico City documentation of a communist conspiracy to assassinate President Kennedy. 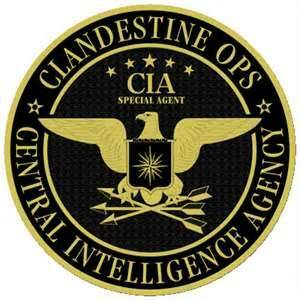 A domestic political war to expose the CIA’s false flag operation, which the CIA was more than capable of fighting on their own terms and which would undermine US government standing at home and abroad. A complete cover-up of any conspiracy evidence and acceptance of a silent coup d’état that would reverse Kennedy’s efforts to end the Cold War. For LBJ, there was only one option which would leave him with a governable nation – to cover up the truth and surrender to Cold War prerogatives. But he was not so foolish as to take on the Soviet Union directly, and chose instead to escalate the proxy war in Vietnam. Once the CIA understood that its communist conspiracy strategy had failed, it began to back-peddle and claimed that its audiotapes of the “Oswald” phone calls to the Soviet embassy had been destroyed and that no voice comparison was possible (though this was alleged at the same time the FBI was using their own copies of the tapes to prove it wasn’t Oswald). But the FBI then changed its own story and cooperated with the CIA cover-up. When Lee Harvey Oswald was arrested in Dallas and fingered by the media for the assassination of President Kennedy, Soviet officials realized that the “Oswald” letter to their Washington embassy had been intended to set them up. The Soviet response, however, was not revealed until after the fall of the Soviet Union when Boris Yeltsin gave President Bill Clinton long-secret Cold War documents at their meeting in Germany in June 1999. By turning over the letter, the Soviets served notice that they would not be intimidated, knowing that the CIA had more to fear from its public disclosure than did Moscow. LBJ charged the Warren Commission to “look at the facts and bring in any other facts you want in here and determine who killed the president”, but also to “take this out of the arena” of a communist conspiracy “for the sake of national security” (meaning both the avoidance of all-out nuclear war and the protection of US intelligence agencies and the avoidance of possible criminal indictments of the true conspirators). What Earl Warren understood as his charge was to drive the evidence toward a “lone gunman” story that both ignored the overwhelming evidence of a CIA coup d’état and sidestepped the covert CIA pressure to escalate the Cold War into a first strike nuclear holocaust (which the Joint Chiefs had been urging JFK to accept during the short window of opportunity in which the US still had sufficient nuclear superiority over the Soviet Union during 1963, and after which they judged the two nations would be in nuclear “stalemate” because of hardening of Soviet missile silos). So, in spite of at least two Oswalds setting traps from Mexico City to Dallas, the Warren Commission offered the American public a “lone nut” who perpetrated the “crime of the century” all by himself. In 1991, when British author Mathew Smith was examining Kennedy assassination scholar Harold Wiesberg’s government documents (obtained under the Freedom of Information Act), he discovered Wayne January’s FBI report on the episode with Oswald at Red Bird Air Field. Smith then visited Dallas and showed the FBI report to January, who was astounded that it described him as saying the incident took place in late July of 1963, four months before the assassination rather than the two days before that it had occurred, and that because of the long time interval January was uncertain about his identification of Oswald. January told Smith that he was so certain of his identification of Oswald that he “would give it nine out of ten”. When Smith commented that the assassination of Kennedy was a mystery, January leaned back in his chair and said “The CIA was behind this”. Smith couldn’t at that time appreciate just why January seemed so sure. Three decades later, Wayne January faxed a letter to Matthew Smith, revealing what he had been afraid to tell anyone for those many years. On Thursday, November 21, 1963, as John and Jacqueline Kennedy were arriving on Air Force One in Houston to begin their Texas tour, Wayne January was at Red Bird Air Field in Dallas preparing a DC-3 aircraft for flight, along with the pilot who was scheduled to fly it out of Dallas to Florida the following afternoon. The two men had become friends, and the pilot confided that he had been in the Cuban Air Force with a high rank. 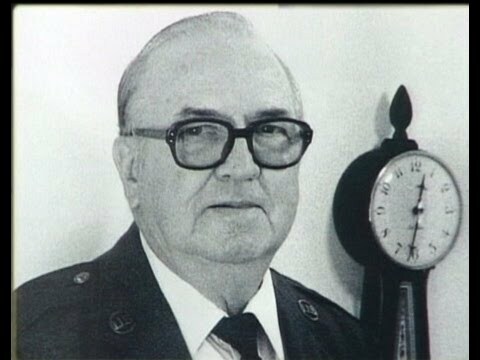 When January asked about the well-dressed man who had purchased the airplane from a company that January co-owned, the pilot described the man as an Air Force colonel who had bought the plane on behalf of the Houston Air Center – a company January would later learn was a front for the CIA. The aircraft had originally been a WWII troop transport, also known as a C-47. As the pilot sat leaning against a wheel of the aircraft, eating a sandwich, he became pensive and then looked up and said “Wayne, they are going to kill your president”. When Wayne asked the pilot what he meant, the man repeated “They are going to kill your president”. While Wayne was trying to make sense of this, the man revealed that he had been a pilot for the CIA and was involved in the planning for the Bay of Pigs. When many of his friends died there, the survivors bitterly blamed John and Robert Kennedy for not providing the air cover that the CIA claimed they had promised. Wayne asked if that was why he thought they were going to kill the President. Wayne was beginning to think the man had gone off the deep end. The pilot looked at him and said, “you will see”. The two men managed to ready the plane for flight the next afternoon, after installing 25 seats in it. As they finished up their work at 12:30 PM on November 22, there was a commotion by the terminal and a police car took off at high speed. Wondering what was up, Wayne walked to the terminal building where the driver of a passing car shouted at him “The President has been shot”. Wayne walked back to the DC-3, which was now fueled up and ready for takeoff, and asked the pilot if he’d heard the news. The man said he had heard from the fuel truck driver, and then “It’s all going to happen just like I told you”. Wayne felt sickened. Fearing for his life and the lives of his family, he told the FBI only about his encounter with Oswald two days before, and never mentioned the Cuban pilot until 1992, and then asked the British author Smith to keep him anonymous. After Wayne January died in 2002, Matthew Smith asked permission from Wayne’s wife to use his real name, and published the full story in his third book on the JFK assassination, The Plot to Stop the Kennedys (2005). Robert Kennedy assassinated June 6, 1968. John F. Kennedy Jr. assassinated July 16, 1999. 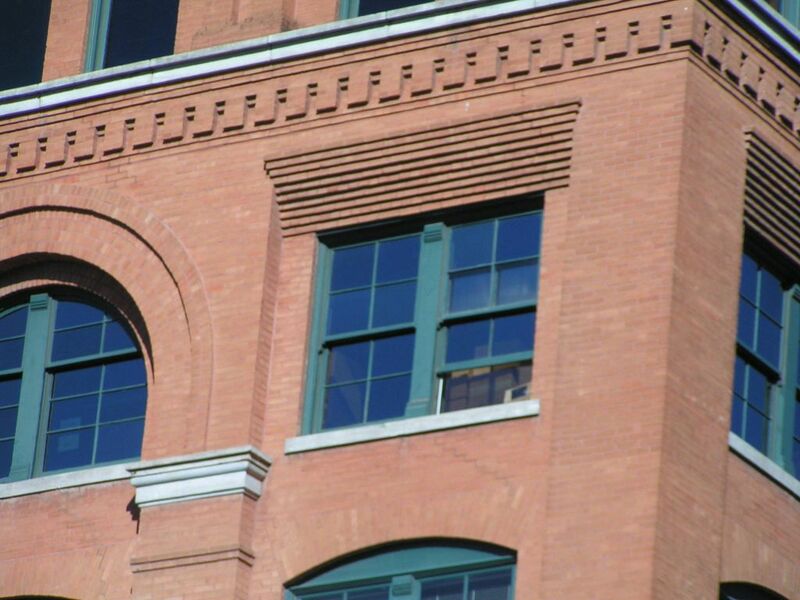 The Warren Report’s tracking of Lee Harvey Oswald began with eyewitness Howard Brennan, a 45-year-old steamfitter who was standing across the street from the Texas School Book Depository (TSBD) to watch the motorcade. Brennan told a police officer, right after the assassination, that he saw a man standing in the sixth floor window of the Depository fire a rifle at the President’s car. Brennan described the shooter as “white, slender, weighing about 165 pounds, about 5’10” tall, and in his early thirties – a description matching Oswald’s that was radioed to Dallas police cars at approximately 12:45 PM. Yet, it would have been impossible for a rifleman to be standing at that window, since it was open only 14″ and the sill was one foot from the floor. But, on the basis of this description, Officer J.D. Tippit stopped his car at 1:15 PM to confront a man that fit it, walking in the Oak Cliff area of Dallas. As Tippit was exiting his vehicle, the man shot the officer four times, killing him, and then emptied the shells from his gun, leaving an evidence trail. After killing Kennedy and wounding Governor Connally from the sixth floor window of the TSBD at 12:30 PM, Oswald hid his rifle, quickly descended four flights of stairs to the 2nd floor lunchroom, where he was encountered calmly drinking a Coke at about 12:31. He then escaped from the building at 12:33 and walked seven blocks, where he boarded a bus at about 12:40 that was heading back toward the TSBD but which got stuck in traffic. Oswald got off the bus and hired a taxi at 12:48 (though the driver’s log indicates it was 12:30), first offering to give it up for an elderly lady who needed a ride, and then rode 2.4 miles, taking him five blocks past his rooming house at 1:00. He paid his fare and walked the five blocks back to his room, where he stayed for 3 or 4 minutes, picking up his jacket and revolver. The housekeeper saw him standing at a northbound bus stop, but apparently Oswald gave up waiting and walked south nine-tenths of a mile, where he killed Officer Tippit – all this within 45 minutes. He then walked seven blocks to the Texas Theater, where he was arrested at 1:50 PM. After Oswald went to his room, according to his housekeeper, Mrs. Earlene Roberts, a police car with two uniformed officers stopped in front of the house and gave a two-beep signal with their horn before driving around the corner. Mrs. Roberts told the Warren Commission that the number on the police car was 107, but that car was sold on April 17, 1963 to a used car dealer and not replaced until February 1964. As the gunman fled the scene of Officer Tippit’s murder, he was seen by at least twelve witnesses, most of whom identified him as Oswald in police lineups or photographs. Then the fleeing man was seen by Johnny Calvin Brewer, manager of Hardy’s Shoestore, located a few doors east of the Texas Theater. He saw the man acting suspiciously and then ducking into the theater. The ticket-seller, Julia Postal, confirmed to Brewer that the man had not purchased a ticket and she called the police. 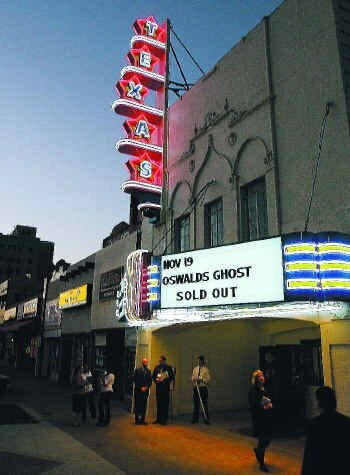 But, according to Warren “Butch” Burroughs, the concession stand operator at the theater, Lee Harvey Oswald entered the theater between 1:00 and 1:07 PM, several minutes before Officer Tippit was shot, and bought popcorn at 1:15 PM, the same time of the officer’s murder. A number of theater patrons noticed the man’s unusual behavior. Edging into a row of seats at the right rear of the theater on the ground floor, the man squeezed past 18-year-old Jack Davis and sat right next to him, even though the theater was nearly empty. Soon after, the man whom Davis would later identify as Oswald, got up, moved across the aisle and sat next to someone else, before walking out to the lobby to buy popcorn. Then Burroughs saw him return to the main floor and sit next to a pregnant woman. It looked as if Oswald was testing each patron for a signal from an unknown contact before moving on to the next. Several minutes later, the pregnant woman went to the bathroom and police rushed in to the theater as the house lights went up, entering from both the front and back doors. Officer McDonald came from behind the screen and Johnny Brewer pointed out the suspicious man he had seen sneaking into the theater. But, rather than arresting him at once, Officer McDonald and an accompanying officer began searching the patrons between the screen and Oswald, as if they were trying to encourage him to attempt to flee as an excuse to kill him on the spot. Instead, Oswald waited until they were at his third row from the back, stood up and allegedly pulled out his revolver, which either misfired or was prevented from firing by the hand of the officer who was wrestling with him. Oswald was injured during the arrest and taken in handcuffs out the front door and into the back seat of a police car. Butch Burroughs, the concession man, however, then witnessed a second Oswald arrest in the Texas Theater. 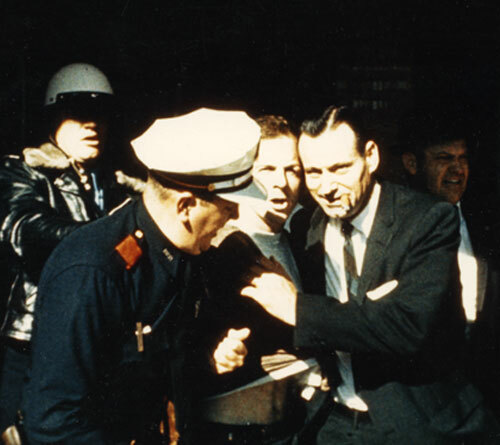 After the officers had dragged Oswald out the front door, within three or four minutes, Burroughs saw an Oswald look-alike placed under arrest, handcuffed and taken out the back door. Bernard J. Haire, the owner of Bernie’s Hobby House just two doors east of the Texas Theater, went outside to see what all the commotion was, but couldn’t get through the crowd. So he went back through his store to the alley in back and walked over to the Theater’s rear exit, where he saw the police taking “Oswald” into custody. When Oswald was brought to police headquarters, he had a bus transfer in his pocket, though it wasn’t “discovered” until the next day. But, given that five witnesses at Dealey Plaza had seen a green Rambler escape car which at least two witnesses saw Oswald enter, it appears likely that some “Oswald” left the TSBD by car, driven by “a husky looking Latin”, according to Sheriff’s Deputy Roger Craig. Some “Oswald” then conspicuously shot Officer Tippit, leaving a ballistic trail and a dozen witnesses, and then allowed himself to be noticed entering the Texas Theater where he waited in the balcony (the stairs to which are not visible from the concession stand). A more reasonable timeline would have had Lee Harvey Oswald going home after lunch, since his workplace was a crime scene, and then directly to the Texas Theater. 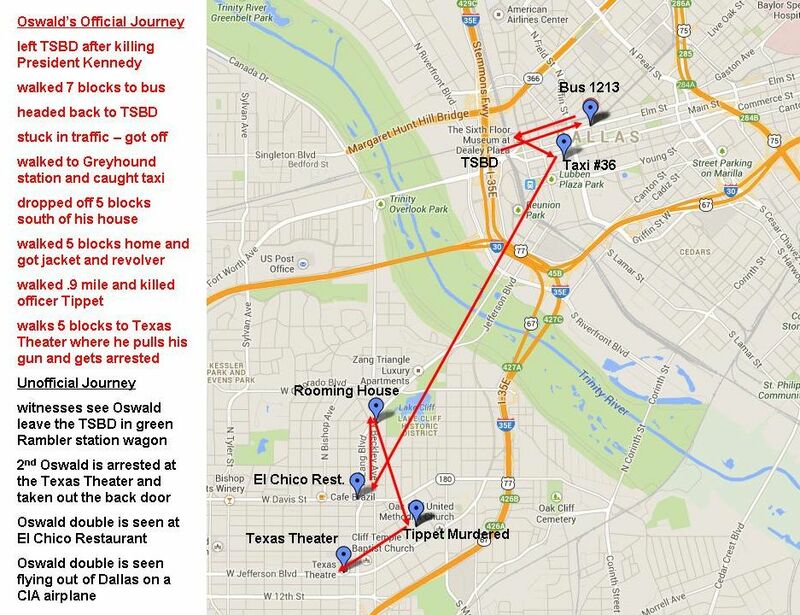 The other strange travel events appear to be fabricated (both the bus and the taxi rides have major discrepancies and are based on uncorroborated testimonies) and there are just too many sightings to be explainable by a single Oswald. Furthermore, following Oswald’s arrest at the Texas Theater, two witnesses encountered another “Oswald”. At 2:00 PM, as Lee Harvey Oswald was handcuffed in the back seat of a patrol car, a man identified as Oswald was noticed by a sharp-eyed mechanic, 60-year-old T.F. White, a longtime employee of Mack Pate’s Garage, several blocks north of the Texas Theater. Hearing police sirens and a radio report of a suspect on the loose in the Oak Cliffs neighborhood, White looked out the open garage door and watched a red 1961 Ford Falcon drive into the parking lot of El Chico restaurant across the street. Parking in an odd position, only a few feet into the lot, the driver remained sitting in the car, appearing to be hiding. After learning about the assassination attempt on Kennedy, White walked across the street and halted ten to fifteen yards from the Falcon, where he could clearly see the driver staring at him. White took a scrap of paper from his coverall pocket and scribbled down the license plate number: PP 4537. That night, while watching TV news coverage, White recognized Oswald as the man in the Falcon, not yet realizing that Oswald had been in custody at that time. 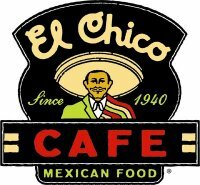 On December 4, 1963, Wes Wise, a Dallas newscaster, gave a talk at El Chico restaurant and the subject turned to the Kennedy assassination. White’s boss, Mack Pate, had walked across the street to hear the talk and then approached Wise with the story about the mysterious Falcon. Though White was reluctant to talk about it, Wise convinced him it was his patriotic duty and got the entire story, including the plate number. Wise notified the FBI, and agent Charles T. Brown reported that the license plate was issued to a 1957 Plymouth owned by Carl Amos Mather of Garland, Texas. The FBI also discovered that Mather did high-security work for Collins Radio, which was a major contractor for the CIA. The New York Times had a front page story about Collins Radio supplying a CIA ship that was on an espionage and sabotage mission against Cuba. The company also held the contract for installing communications towers in Vietnam, and for installing special electronic equipment in LBJ’s plane, Air Force Two. The Mathers were also close personal friends of Officer Tippit. Though he used his CIA standing to refuse to talk to the FBI at the time, Carl Mather did testify fifteen years later to the House Select Committee on Assassinations (HSCA), in return for a promise of full immunity, but couldn’t explain how his license plate appeared on a car carrying an Oswald double. The HSCA dismissed the allegation as unfounded. But newsman Wes Wise, who was later elected for two terms as Mayor of Dallas, preserved his notes about the sighting and also prevented the imminent destruction of the Texas School Book Depository so that the historical record would remain for posterity. Far more revelatory of a CIA conspiracy, though, was the experience of US Air Force Sergeant Robert G. Vinson of the North American Air Defense Command (NORAD), who became an unwitting witness to the escape of the Oswald double. On November 20, 1963, Sergeant Robert G. Vinson took a trip to Washington DC from his station in Colorado Springs to bypass his superior officers and complain about not being promoted in spite of outstanding job evaluations. On November 21, Vinson met with Colonel Chapman, a liaison officer between the Pentagon and Congress, in the basement of the Capital building. While the Colonel was going over Vinson’s records, he took a phone call and told the person on the other end that he “would highly recommend that the President not go to Dallas on Friday because there had been something reported”. Obviously, his advice was not heeded, and what had been reported remained a mystery. The next morning, November 22, Vinson took a bus to Andrews Air Force Base to hitch a ride home on the first available military flight to Colorado. The airman at the check-in counter told Vinson that there were no scheduled flights in that direction, but Vinson wrote his name and serial number on the register and went to get some breakfast. Fifteen minutes later, Vinson was paged on the intercom and abandoned his breakfast to run to catch an unscheduled flight that the airman told him was going to Lowry Air Force Base in Denver. Vinson climbed into a C-54 cargo plane that had no military markings and just a rust-brown egg-shaped earth on the tail, crossed by white grid marks. The plane was empty, and Vinson took a seat over the right wing, where he could see two men in drab, unmarked coveralls walking under the plane. In a minute, the two men boarded the plane and, without a word to Vinson, entered the cockpit, closed the door behind them, and the plane took off. Vinson thought it odd that there was no crew chief and no flight manifest for him to sign. When Vinson guessed the plane was over Nebraska, an unemotional voice over the intercom announced that the President had been shot at 12:29. Immediately after the announcement, the plane banked into a sharp left turn and headed south. At 3:30 PM, Vinson saw the Dallas skyline, and the plane landed abruptly alongside the Trinity River in a rough, sandy area, not far from the Oak Cliff neighborhood where the assassination saga had apparently ended, taxied into a U-turn and left its engines running. As one of the pilots unlatched the passenger door, two men running from a jeep leapt aboard, wearing coveralls, entering also without a word, and sat down behind the cockpit. The taller of the two men, 6′ to 6’1″, weighing 180 to 190 pounds, looked Latino, perhaps Cuban. The shorter man was 5’7″ to 5’9″, weighing 150 to 160 pounds, and was Caucasian. When Vinson later watched the televised events from Dallas, he recognized the smaller man as Lee Harvey Oswald. He could not then know that the other man matched the description of the “husky looking Latin” that Sheriff’s Deputy Roger Craig had seen driving “Oswald” away from the TSBD in the light green Rambler. The plane took off in a northwest direction and, a little after dusk, landed on a runway. As soon as the engines were shut off, the two pilots hurriedly exited the plane with the two passengers close behind them, in the same complete silence with which they had each boarded, leaving Vinson once more alone. Vinson disembarked, but nothing looked familiar, so he went toward a building with lights on and, asking the lone Air Policeman where he was, was told he was at Roswell Air Force Base in New Mexico, the largest Strategic Air Command (SAC) base. Asking where he could catch a bus, Vinson was told the base was on lockdown and he had to say put. That didn’t explain how the C-54 was allowed to land during a lockdown, unless the lockdown was a result of its landing. But Vinson didn’t yet know the significance of the other passengers on his flight. A couple of hours later, the Air Policeman told him he could leave and gave directions to a bus stop. By the next morning, Vinson was home, telling his wife the strange story, and they both agreed not to share it with anyone else, even moreso after seeing Oswald’s face on TV. After Lee Harvey Oswald was killed the next day, Robert Vinson kept quiet for thirty years, though his silence could not erase his name and serial number on the Andrews Air Force Base register. In the Spring of 1964, after Vinson was promoted to technical sergeant, a friend told the Vinsons that their neighbors were being questioned about them by the FBI, and Vinson was ordered by his commanding officer to sign a new secrecy agreement, as was his wife for the first time as a military spouse. On November 25, 1964, Vinson was ordered to go to Washington DC “in conjunction with a Special Project”. When he arrived, he found himself spending five days at CIA headquarters being put through a series of physical and psychological tests, after which he was interviewed by a half-circle of men in semi-darkness. They asked Vinson to work for the CIA, offering him lucrative inducements, but he refused, wanting to finish his enlistment and retire from the Air Force to take civilian work. 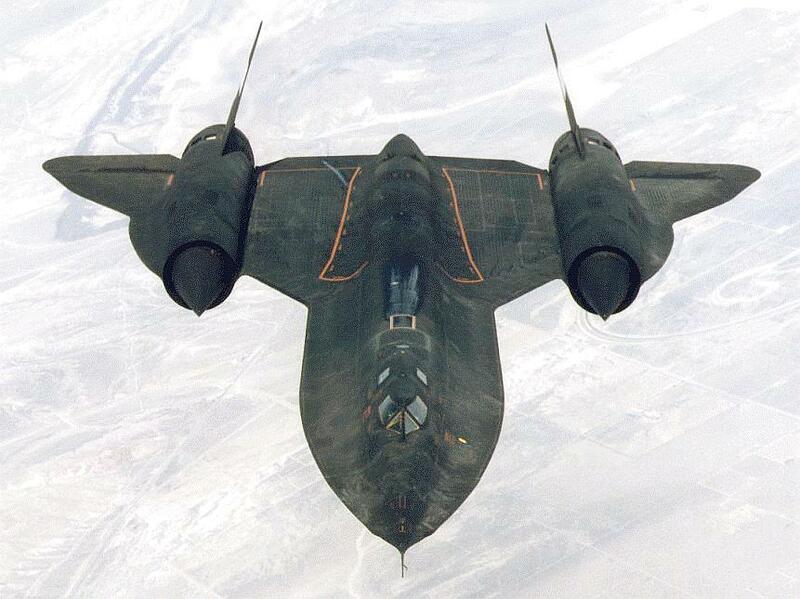 Three months later, Vinson was again ordered to report to the CIA, this time in Las Vegas, and discovered that he had been reassigned to a top-secret CIA project, the Blackbird SR71 spy plane, at an air base hidden in the Nellis Mountains northwest of Las Vegas, an area also known as Area 51. At this site, long the subject of speculation about UFOs and aliens, Vinson discovered that the projects there included experimental aircraft shaped like saucers. For the final year-and-a-half of his enlistment, Vinson served as the administrative supervisor for base supply at Site 51, even though he had no special qualifications for the position. In addition to his regular Air Force salary, he received a monthly cash payment from the CIA. He and his wife understood this as hush money and the CIA wanting to keep close tabs on his activities. While at Site 51, Vinson saw a C-54 marked exactly like the one he had flown on out of Washington and Dallas. An Air Force sergeant at the base confirmed that it was a CIA aircraft. Vinson’s CIA employment ended on October 1, 1966, but he remained silent after taking civilian work in Wichita, Kansas. 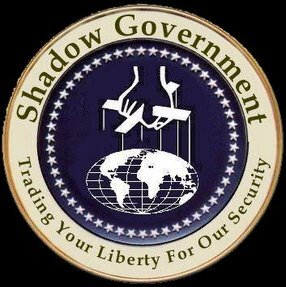 After Congress passed the JFK Records Act in 1992, mandating the disclosure of government records on the assassination, Vinson consulted with his member of Congress and was told that the new law released him from his secrecy agreement. On November 23, 1993, Robert Vinson told the story of his flight from Dallas to a news anchor for Wichita’s KAKE-TV. Wichita civil liberties attorney, James P. Johnston, who had been studying the Kennedy assassination, offered his assistance to help Vinson bring the story to the government and the public. Vinson offered to testify before the Assassinations Records Review Board but was never called to do so. 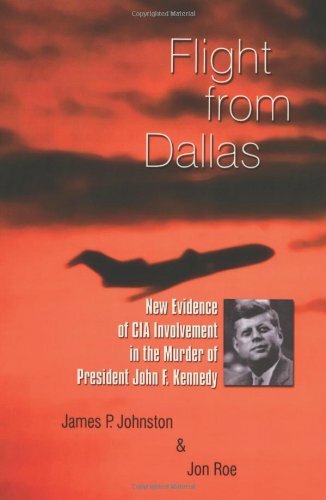 In 2003, Johnston and journalist Jon Roe co-authored the book A Flight from Dallas, so that the American people can learn this piece of the Great CIA Conspiracy puzzle. Good article. But one piece of information that I’m curious if you are aware of, but T.F. White’s sighting of Oswald in Mather’s Car was actually a 57 Plymouth and the license plate matched the vehicle he had seen. But the FBI changed the model of his sighting gave the Mather’s plausible deniability about having owned a red 57′ falcon. For some reason that little quirky info has always stuck with me, but I haven’t gone too deep into the scenario so I’m not quite sure how it all went down. One thing about this case you can’t always trust the government documents which means they are never 100% true or false. First, 60-year-old T.F. White, a longtime employee of an automotive garage, would not confuse a ’61 Ford Falcon with a ’57 Plymouth (Ford began production of the Falcon in 1960, so there was never a ’57 Falcon, as you assert, and the 57 Plymouth had the iconic high rear tail fins of that year). Second, his boss, garage-owner Mack Pate, would not have been confused in hearing White’s story, as he knew that a Falcon was a very distinctive and very plain compact car, thoroughly different from the flashy ’57 Plymouth. Third, Carl Amos Mather of Garland, Texas, the owner of the license plate on the Falcon, but registered to a 1957 Plymouth, would not have testified fifteen years later to the House Select Committee on Assassinations (HSCA), in return for a promise of full immunity, that he couldn’t explain how his license plate appeared on another car carrying an Oswald double (Mather had been doing security work for a company involved in supplying the CIA with communications equipment). And Fourth, Dallas nescaster Wes Wise, who was later elected for two terms as Mayor of Dallas, preserved his notes about the sighting, so it is in the historical record as told by Make Pate to Wise on December 4, 1963. An interesting read. I’ve always been under the impression Roger Craig told the truth about his observations that afternoon (whether it was about the actual identification of the German Mauser rifle initially found inside the Texas School Book Depository, and/or his sighting of someone bearing a strong resemblance to Oswald racing down toward Elm Street and getting into a Rambler driven by a large dark-complected man). In many aspects of this case, it’s way past time to put this fairy tale about a lone gunman to rest. Something much more elaborate and sinister happened that afternoon.